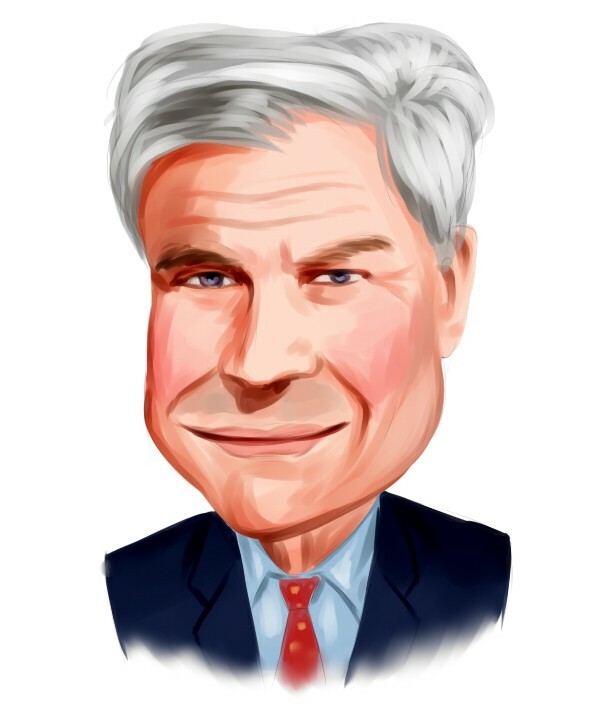 MGM Growth Properties LLC (NYSE:MGP): Are Hedge Funds Right About This Stock? MGM Growth Properties LLC (NYSE:MGP) has experienced an increase in activity from the world’s largest hedge funds recently. MGP was in 15 hedge funds’ portfolios at the end of the third quarter of 2018. 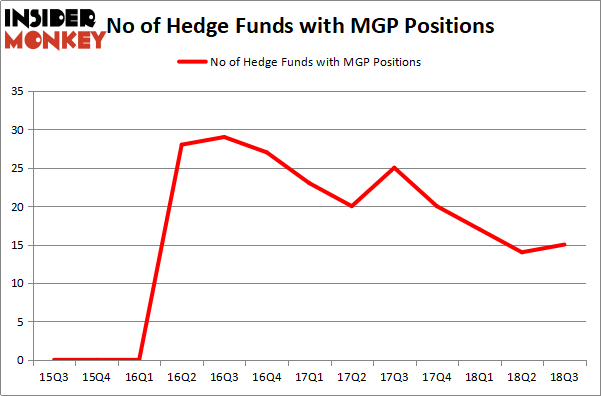 There were 14 hedge funds in our database with MGP holdings at the end of the previous quarter. This wasn’t enough for the company to be considered as on of the 30 most popular stocks among ALL hedge funds. Total revenues of $3,029.3 million came ahead of the consensus mark of $2,911 million and rose 7% year over year, supported by higher revenues at MGM China. Let’s view the fresh hedge fund action surrounding MGM Growth Properties LLC (NYSE:MGP). How are hedge funds trading MGM Growth Properties LLC (NYSE:MGP)? At Q3’s end, a total of 15 of the hedge funds tracked by Insider Monkey were long this stock, a change of 7% from one quarter earlier. By comparison, 20 hedge funds held shares or bullish call options in MGP heading into this year. With hedge funds’ positions undergoing their usual ebb and flow, there exists an “upper tier” of key hedge fund managers who were upping their stakes significantly (or already accumulated large positions). According to Insider Monkey’s hedge fund database, Joshua Kaufman and Craig Nerenberg’s Brenner West Capital Partners has the biggest position in MGM Growth Properties LLC (NYSE:MGP), worth close to $37 million, comprising 4.6% of its total 13F portfolio. The second largest stake is held by Capital Growth Management, led by Ken Heebner, holding a $33.9 million position; 1.8% of its 13F portfolio is allocated to the stock. Remaining hedge funds and institutional investors that are bullish include Greg Poole’s Echo Street Capital Management, Israel Englander’s Millennium Management and Ken Griffin’s Citadel Investment Group. Consequently, specific money managers were leading the bulls’ herd. Marshall Wace LLP, managed by Paul Marshall and Ian Wace, established the biggest position in MGM Growth Properties LLC (NYSE:MGP). Marshall Wace LLP had $12.9 million invested in the company at the end of the quarter. Noam Gottesman’s GLG Partners also initiated a $0.3 million position during the quarter. The only other fund with a new position in the stock is Paul Tudor Jones’s Tudor Investment Corp.
Let’s now take a look at hedge fund activity in other stocks similar to MGM Growth Properties LLC (NYSE:MGP). We will take a look at Macerich Co (NYSE:MAC), Brookfield Property Partners LP (NYSE:BPY), Black Knight, Inc. (NYSE:BKI), and Wheaton Precious Metals Corp. (NYSE:WPM). All of these stocks’ market caps match MGP’s market cap. As you can see these stocks had an average of 24.75 hedge funds with bullish positions and the average amount invested in these stocks was $351 million. That figure was $222 million in MGP’s case. Black Knight, Inc. (NYSE:BKI) is the most popular stock in this table. On the other hand Brookfield Property Partners LP (NYSE:BPY) is the least popular one with only 11 bullish hedge fund positions. MGM Growth Properties LLC (NYSE:MGP) is not the least popular stock in this group but hedge fund interest is still below average. This is a slightly negative signal and we’d rather spend our time researching stocks that hedge funds are piling on. In this regard BKI might be a better candidate to consider a long position.